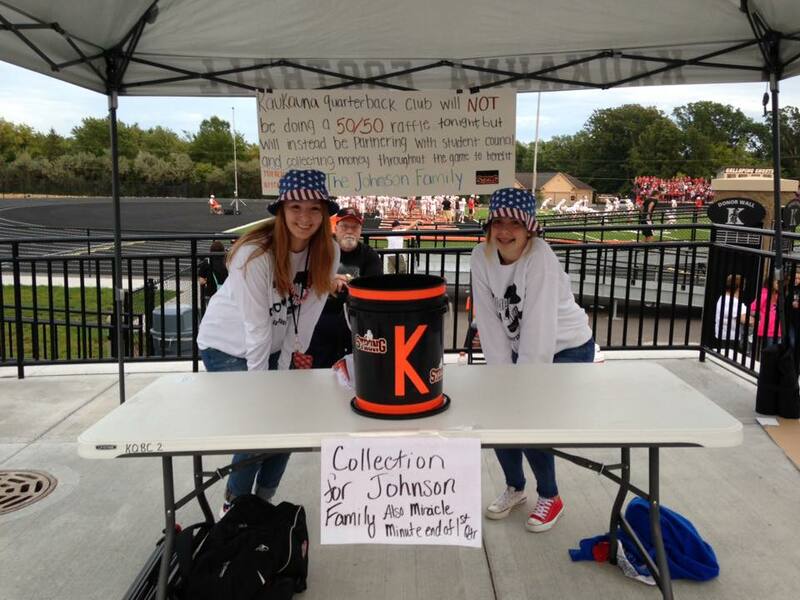 Alexa Nettekoven and Grace Gossen at the donation table before the Sept. 9, 2016 Kaukauna football game. Tony Penterman photo via Kaukauna Pictures Facebook group. 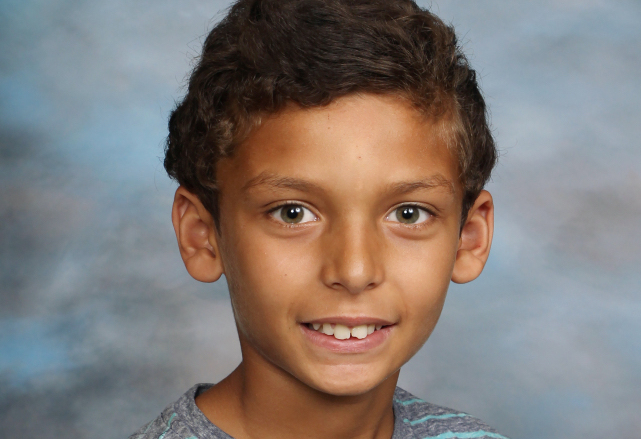 KAUKAUNA — Fans attending Friday’s high school football game donated more than $5,500 for the family of a River View Middle School student who died earlier in the week in a school bus accident. The Kaukauna High School Student Council organized a Miracle Minute during the Sept. 9, 2016, football game between Kaukauna and Kimberly and raised $5,578.65, according to student council president Katrina Hochholzer. Earlier in the day, an annual brat fry fundraiser at Larry’s Piggly Wiggly hosted by St. Paul Elder Services to support the Kaukauna Fire Department quickly turned in to a fundraiser for the Johnson family. And although they are rivals in sports, the Kimberly Football Moms group organized a Miracle Minute at Thursday’s JV game between the Kaukauna and Kimberly at Papermaker stadium, according to a post on their page. They raised $1,118, according to a post by the group. Also today, a memorial fund was set up at Unison Credit Union. Anyone wishing to contribute may contact any of the local Unison branch locations and request that their donation go to the “Justin A. Johnson Memorial Account,” according to Alderman Tony Penterman on a post on the Kaukauna Pictures Facebook group.